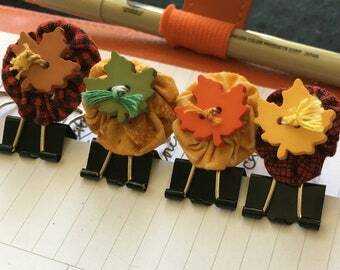 Poinsettia Planner Clips and Bookmarks are fun for keeping your pages marked as well as adding functional decorations to any book, planner or calendar. 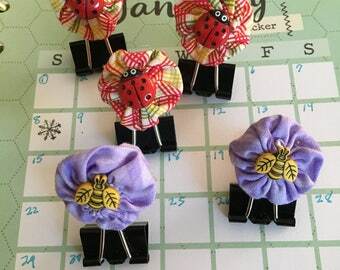 Bookmarks and Planner Clips also make a great small gift ideas to use in planners books, calendars or journals. 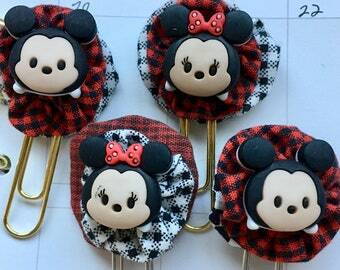 They also make great additions to a special holiday or greeting card or scrapbook page. Design your own. 12- felt Flowers (3 sizes). The flowers come unassembled. 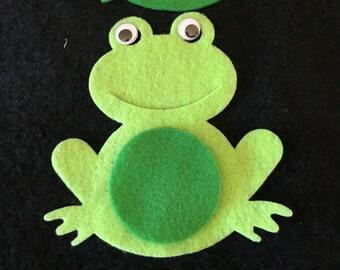 You can stitch together and layer at the same time, or use your favorite glue to adhere together. 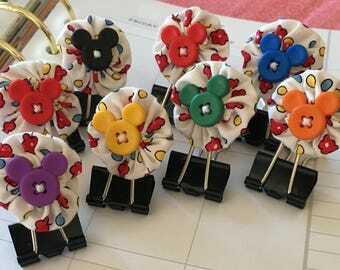 Once the flower is layered to your own specifications, you can adhere to gold paper clip. 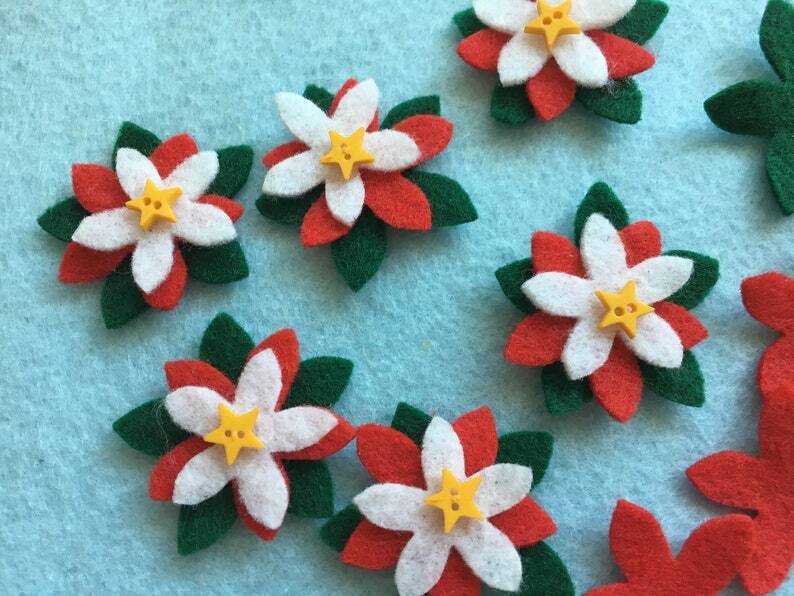 You will receive enough flowers to layer and make 4 complete Poinsettia's. 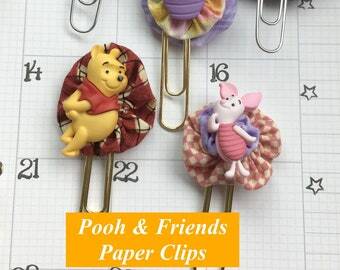 You can adhere them back to back with the paper clip in the middle to MAKE your own paper clip design. If you would like to add a small bottle of glue, use the drop down menu and order the kit with glue. 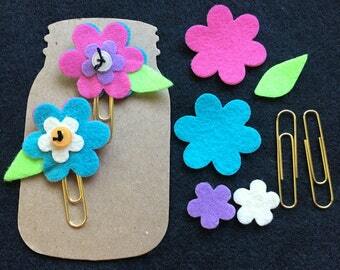 Gather some friends; serve a beverage, and CREATE your own adorable Flower Clips, with this fun DIY Kit.